These days, you can find smart technology being used everywhere. There is state of the art, advanced software to be found in the modern vehicles. However, many of the smart devices for cars cost a bomb. Here are some easy hacks to transform your vehicle into a smart car that will help you to take your car’s tech up by several notches without spending a lot. This can be a useful hack, although not the coolest one. You can get better visibility with a shade sheet while on the road, and block all the obstructive light pockets that can blind your vision while driving. You may purchase one at any of the local or online outlets for a very affordable price. Ensure that the design of your choice may be peeled off easily from the screen very quickly, but can also stick firmly in place if you need. With a GPS tracker inside your vehicle, you can find out where your car is at any given point of time. If you are a parent of a college-goer, you would like to make sure that your kid does not end up driving to any shady area. This kind of tracker can be very useful if anyone thinks of pinching your motor, and provides cops with the chance to track down thieves and get your vehicle back to you in a proper condition. You can actually transform your vehicle into a proper Wi-Fi hotspot. When you have your own internet network in car, you can link up faster to the internet in just a moment. It can let you make calls minus crackling when you are on the move, using a speakerphone or hands-free headset. It can let you keep kids entertained easily on long trips, as they can use their iPads or smartphone to connect to the internet. You can make your own garage remote concealer with a little smartness and inventiveness. Buy a large cup that can be stored within your vehicle. Have your remote taped to its base. This can hide your remote from sight, and thieves can get one less reason to break into your vehicle. Even if they do break in, they cannot access your apartment / garage gate. You can use a spare smartphone as a camera and affix onto the dashboard of your car. 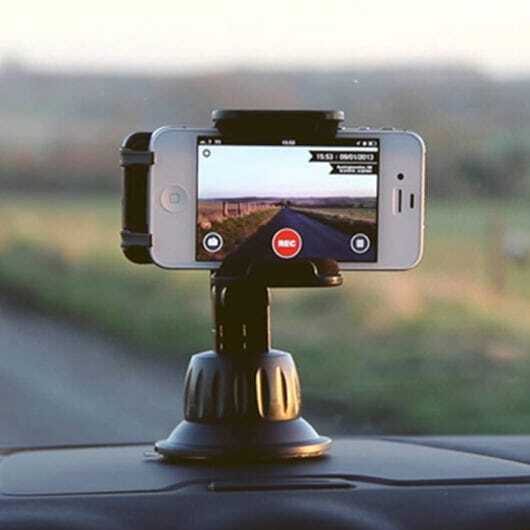 It can record the footage of your trips and can also prove to be very useful in case you get involved into some accident and have to make an insurance claim. Get a mount where you can store your phone. Look for a robust design and go for a test drive before hitting the highway. Look for an appropriate app as well. You can find many apps from smartphone app stores, such as AutoGuard Dash Cam, Car Camera and CamOnRoad. Play with them all and check which one is the best option for you.